We are a social impact investment company, helping social enterprises to raise capital, in order to grow their impact. We work with social enterprises and charities by offering advisory services or help to raise capital from like-minded investors and we also create and manage impact investment funds, which deliver financial return and targeted social impact. For 16 years, Resonance has been pioneering social impact investment in the UK. Our overall vision is a world where capital serves people and communities, where all are empowered to invest in social enterprise for positive social change, and where resources are stewarded for future generations. Our specific mission is to connect capital to social enterprise, and we deliver this through two complementary approaches: our Ventures team who help social enterprises become ready for and raise investment, and our Funds team who design social impact funds which serve the specific needs social enterprises have for capital. Our funds team creates and manages impact investment funds, focused on the capital needs of multiple social enterprises and delivering both financial returns and impact for their investors. Real Lettings Property Fund ¹ & Fund ² are residential property funds providing move on accommodation for those at risk of homelessness in London as well as provide a yield and capital appreciation to their investors. The National Homelessness Property Fund is a residential property fund expanding this model to other cities across the UK so far including Oxford, Bristol and Milton Keynes. Resonance Bristol SITR Fund provides loans to social enterprises that are helping to dismantle poverty in Bristol and the surrounding areas giving its investors a diversified portfolio of investments with yield and tax benefits similar to the Enterprise Investment Scheme (EIS). Health & Wellbeing Challenge Fund (South West) provides loans to social enterprises to develop new solutions in health and social care across the South West. Affordable Homes Rental Fund provides loans to build affordable rental homes to community land trusts and other community-led organizations. Community Share Underwriting Fund provides match funding to community benefit societies, raising finance for local asset projects through community shares. The Health Check reviews social impact, financial performance and the business model which helps diagnose any changes required to secure investment. Investment Readiness determines impact objectives and growth plans whilst exploring the most appropriate investment structures to suit the enterprise’s needs. Deal Arranging supports social enterprises through the legal process of securing investment and presents their investment opportunity to potential investors. Social Impact Observatory assists enterprises to fully articulate their wider impact and introduces appropriate systems which measure, monitor and ultimately manage their social impact. More information can be found in our Annual Report 2016/17. 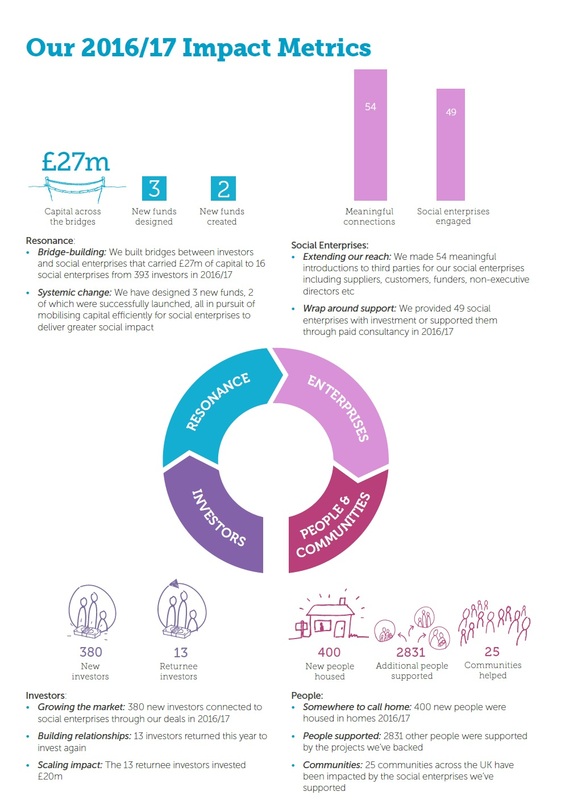 We produce an Annual Report on our impact investment activities, which includes metrics on which we report on Resonance’s overall impact on UK social enterprise and social investment. 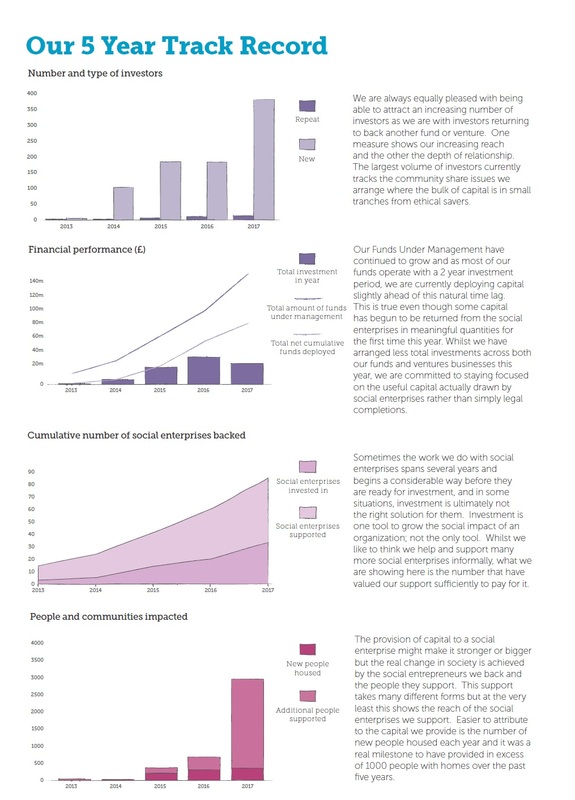 We have worked closely for many years on our impact measurement initiatives with an external consultancy, The Transformational Index, in order to embed impact measurement at all levels of activity; at the Resonance level, at the Fund level, and at the level of due diligencing individual investments in social enterprises. See Resonance Annual Report – particularly p.18 and p.19 for quantifications of people, organisations and communities helped. See also p.14 and 21 for locations and communities we have worked with. 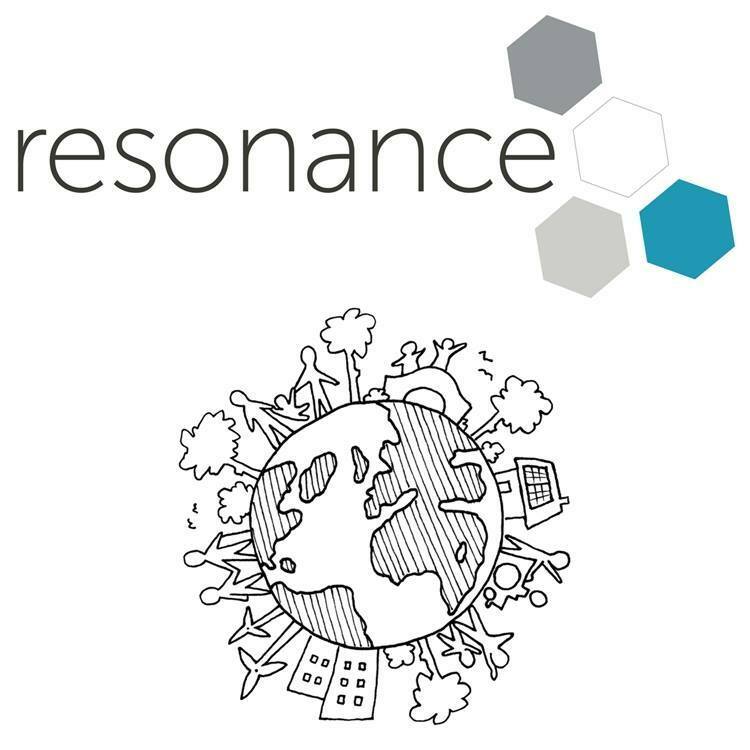 See Resonance Annual Report – particularly p.6 – 13 which provide specific case studies across all aspects of our impact investment work. Also see case studies in the four Social Impact Reports mentioned in Q4. 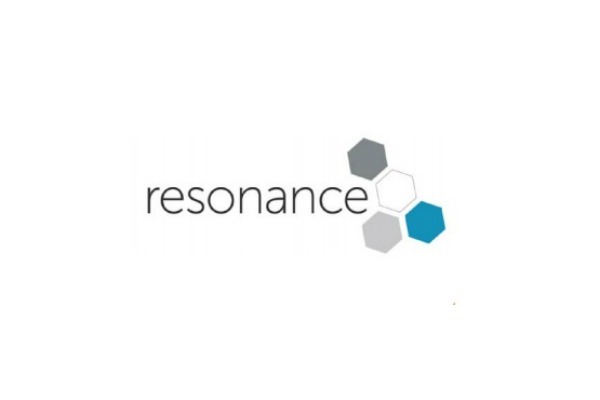 See Resonance Annual Report – particularly p.15 for various ways in which Resonance provides benefits “beyond investment”. Resonance has a policy to allow staff to volunteer during normal paid hours (one half day per month). Where possible Resonance conducts its business in an environmentally sustainable way. Resonance has also established an Employee Benefit Trust which owns 5% of the company on behalf of employees.